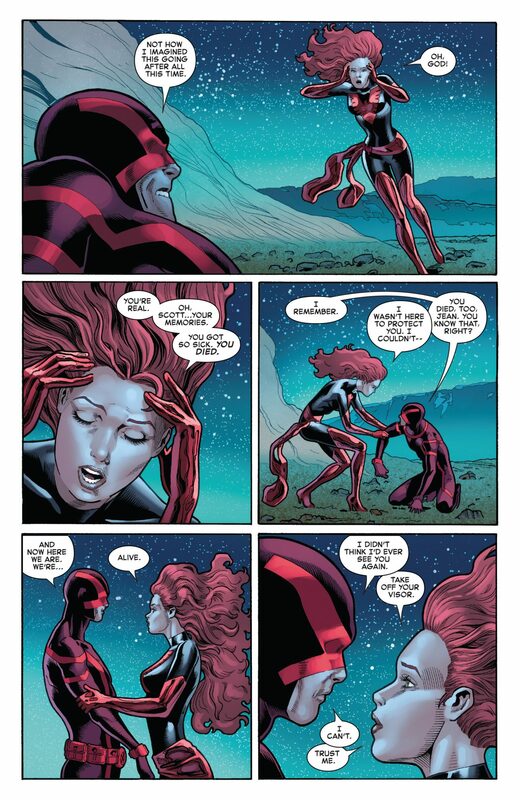 A lot of Cyclops fans were pissed at this scene. 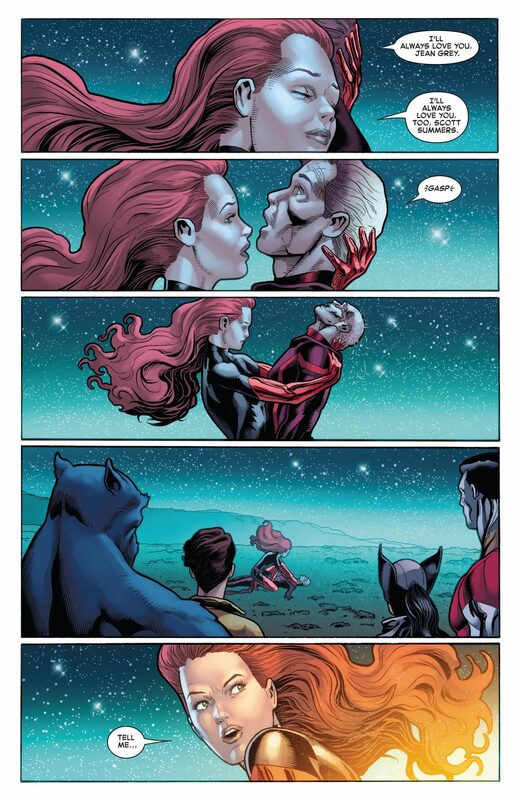 Cykes gets resurrected for a kiss with Jean Grey then gets discarded easily. 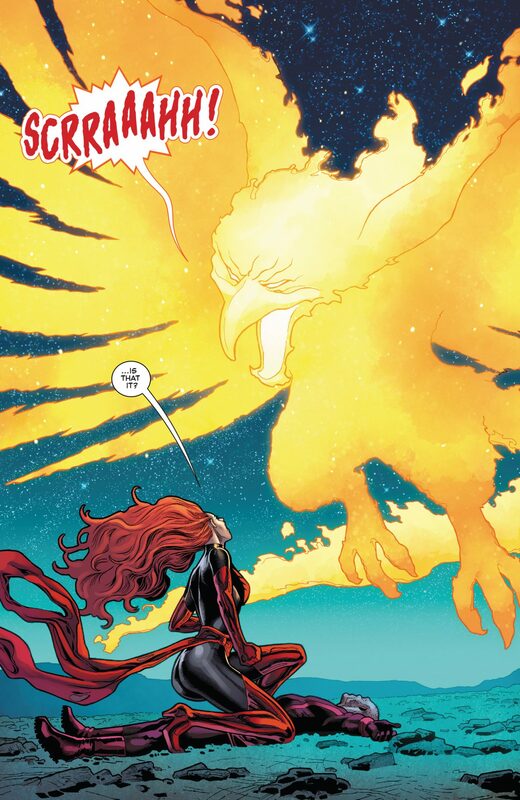 I take the scene for what it is: the Phoenix was trying to seduce Jean Grey and what better way to do so by reminding her that she can bring back to life her husband? 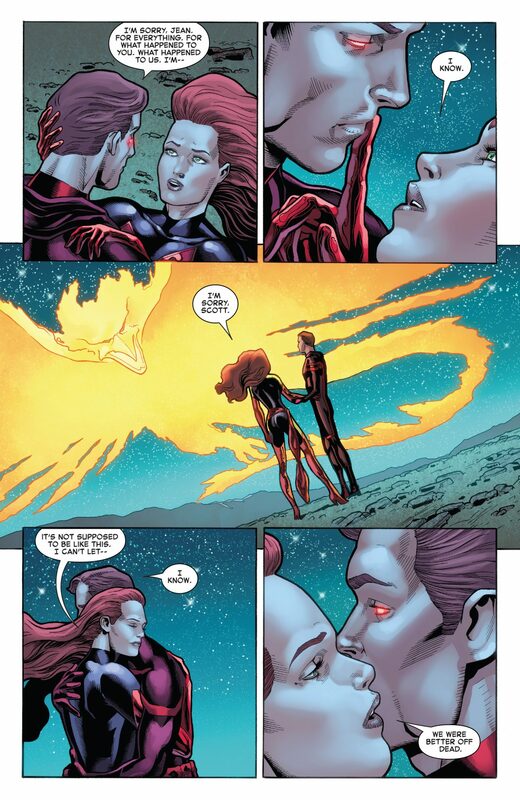 I’m glad they got to say good bye to each other with no bitterness. 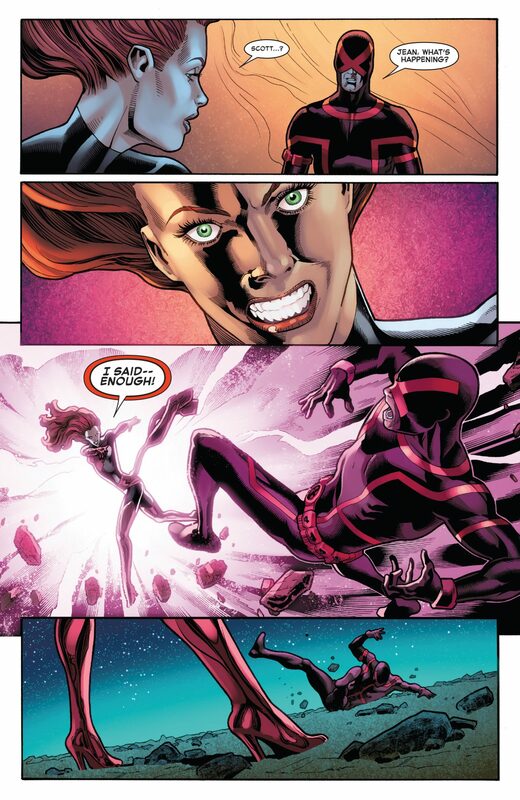 I am certain Cyclops will get resurrected in his own time. 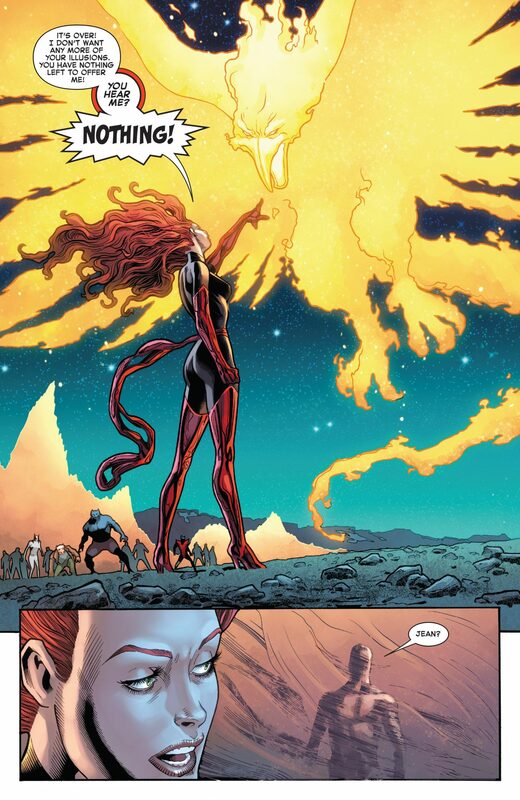 Plenty of X-Men have done so and even Wolverine just came back to life recently. Much better for him to stay dead than be maligned by Marvel constantly.